AUTOGRAPH LETTER Signed, to Mr Hall., 2pp, with initials in gold at head, 103 Marylebone Road, London. JOHN ADAMS-ACTON [1830 1910] Sculptor. 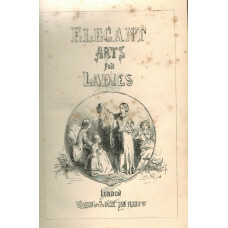 Elegant Arts for Ladies: Comprising Bead Work, Bead and Bugle Work, Calisthenic Exercises, etc. Additional engraved title, numerous wood-engraved illus., adverts. 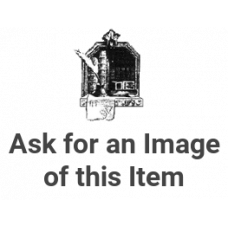 at end; viii+228pp; some foxing.C..
S.T. Gill The South Australian Years 1839-1852. APPLEYARD, R., FARGHER, B. 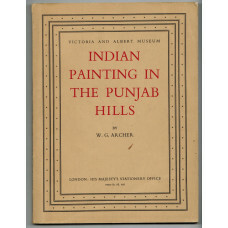 & RADFORD, R.
Indian Paintings in the Punjab Hills. Victoria and Albert Museum. 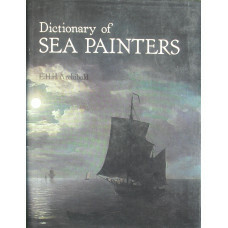 The Dictionary of Sea Painters. Splendours of Flanders. Late Medieval Art in Cambridge Collections. ARNOULD, A. & MASSING, J.M. Colour and black and white illus., catalogue; 101 items; xiv+240pp.Published to accompany an exhibit..
Art Prices Current. 1914-1915 Being A Record of Sale Prices at Christie's during with Representative Prices from the Sales of Messrs. Puttick & Simpson. Vol. VIII. Art Prices Current. A Record of Sale Prices at the Principal London other Auction Rooms August 1934 to August 1935. Vol. XIV New Series. Art Prices Current. A Record of Sale Prices at the Principal London other Auction Rooms September 1935 to July 1936. Vol. XV New Series. Art Prices Current. A Record of Sale Prices at the Principal London other Auction Rooms September 1936 to July 1937. Vol. XVI New Series. Art Prices Current. A Record of Sale Prices at the Principal London other Auction Rooms August 1945 to July 1946. Vol. XXIV New Series. Indexes; 190, 126, 123, 327pp.Very useful for researching the provenance of pictures and prints. Thi..
Art Prices Current. A Record of Sale Prices at the Principal London Continental and American Auction Rooms August 1968 to July 1969. Vol. XLVI New Series. Indexes; xxii+296, 113pp.Very useful for researching the provenance of pictures and prints. This vol..
Art Prices Current. A Record of Sale Prices at the Principal London Continental and American Auction Rooms August 1969 to July 1970. Vol. XLVII New Series. Indexes; xxiv+312, 124pp.Very useful for researching the provenance of pictures and prints. This vol..
Art Prices Current. A Record of Sale Prices at the Principal London Continental and American Auction Rooms August 1970 to July 1971. Vol. XLVIII New Series. Indexes; xxxv+414, 163pp.Very useful for researching the provenance of pictures and prints. This vol..
[List of Paintings] to be included in Prize Draw at Oxford Street, 31 December, 1864. ART UNION OF GREAT BRITAIN. MANCHESTER. 4ppRecords titles of pictures and names of artists that were to be included in draw for a shilling t..